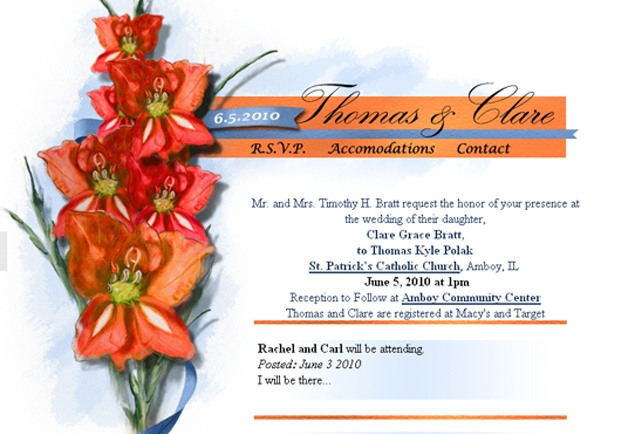 Tablet work for a wedding site. Rachel & Carl did indeed attend. 2010 was a while back. They’re still happily married. Update: They are expecting a baby! This entry was posted in Digital and tagged Digital Art, Flowers, PHP, Tablet, Web, Wedding. Bookmark the permalink.